Hotel Jagdish is an amazing piece of property in Almora majorly famous due to its location as it is located within close proximity to a number of important landmarks. It is located on the National Highway 109 in Khatyari. 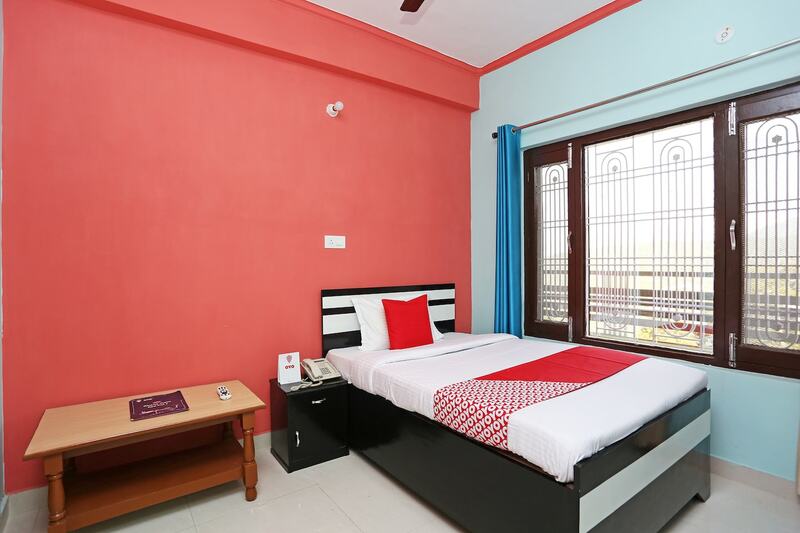 It offers some well-furnished, comfortable rooms at pocket-friendly prices. The rooms are spacious and a number of wooden elements have been used in the interior decor of the room. The rooms have been painted in warm hues such as red and blue which is well complemented with the other design elements of the room. The additional facilities provided by the hotel are parking provisions, an uninterrupted power backup source, and CCTV cameras. The in-house facilities include a restaurant, a banquet hall, a restaurant, and a common kitchen. The hotel is located close to a number of utilities such as Khagmara Kote, Almora and Karbala Graveyard Stone of Swami Vivekananda.